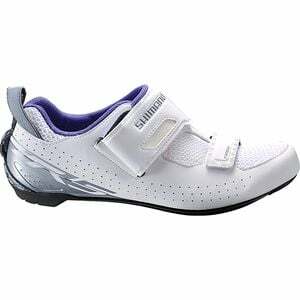 Product Condition: The SH-TR5 Cycling Shoe - Women's is in Excellent condition. This item was previously owned for 2 weeks. All items sold as is, all warranties void. The following observations were made regarding this item: * Still has a near new look. Looks clean. Likely was tried on, may have been worn briefly. Soles are slightly scratched but look clean. * No defects found. * Still comes in the original box.